"I love to travel, spend time with my family, watching sport, fishing and fine wine. I'm one of the co-founders of a charity (The Get A-Head Charitable Trust) that has raised millions supporting patients with head and neck diseases, especially cancer." 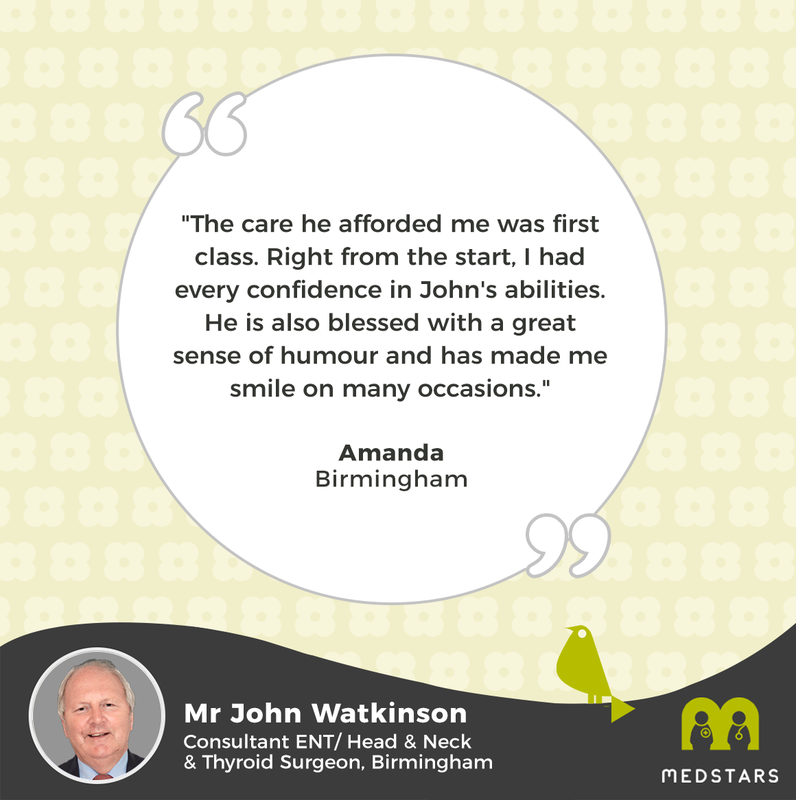 John is a renowned head and neck surgeon, specialising in thyroid and parathyroid problems, and head and neck cancers. He has outstanding patient feedback, had a play written about him by a patient, and has carried out thousands of successful operations. He is also editor of a seminal ENT textbook. "I really wish everyone going through cancer had a doctor like John." "John was my surgeon for thyroid cancer in 2015. He suggested I have a biopsy on a suspicious thyroid nodule and then per..."
"He looked after me in a fantastic way "
"The standard of care with John was like moving from the conference league of football to world cup finals. He looked aft..."
"The care he afforded me was first class"
"The care he afforded me was first class. Right from the start, I had every confidence in John's abilities. He is also bl..."